Exciting news and a HUGE thank you! 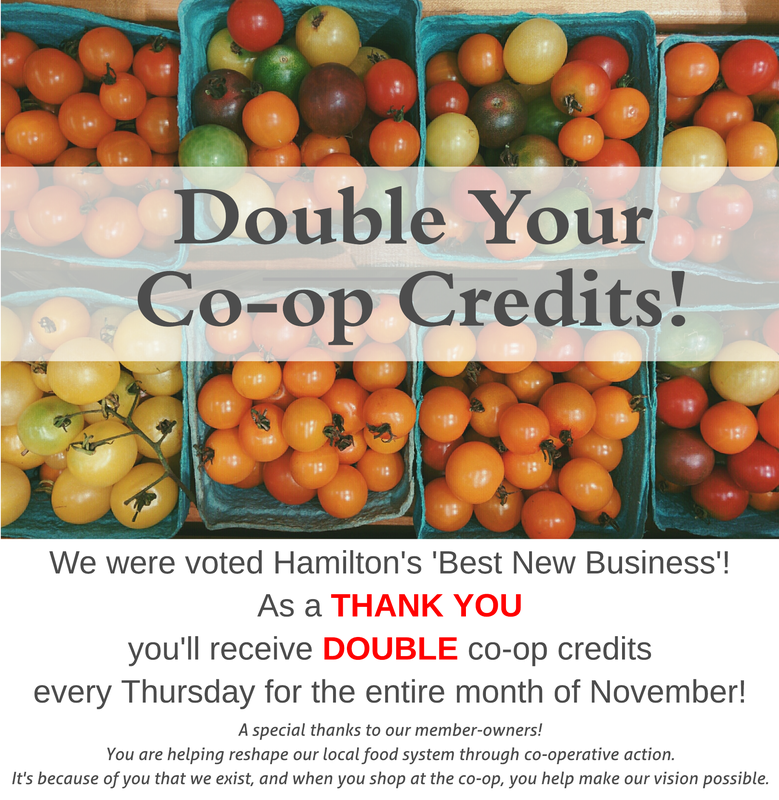 We are thrilled to have been voted ‘Hamilton’s Best New Business of 2013/14′ in The Hamilton Spectator’s annual Readers’ Choice Awards! We also received the Diamond Award (second place) for ‘Best Grocery Store’ and ‘Best Health Food Store’, and the Gold Award (third place) for ‘Best Business That Gives Back To The Community’ and ‘Best Specialty Food Store’. Needless to say, we were floored! Thank you to everyone who voted for The Mustard Seed! 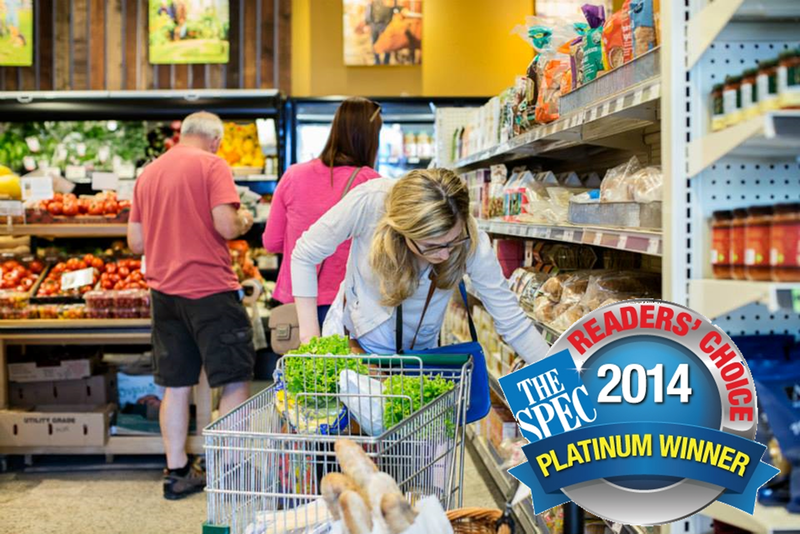 Our success is a testament to the hard work and dedication of our 1,720 member-owners who are making The Mustard Seed the best place in Hamilton to shop for local, wholesome food. We are supporting our health, our producers, our economy and our environment, while building a vibrant local food culture where everyone is welcome. Thank you for supporting the co-op and for proving that our community thrives through co-operation. As a small thank you, we’re offering a special deal every Thursday for the month of November! Come on in and shop as usual, but earn DOUBLE co-op credits. If you’re not a member of the co-op, and want to know more about the benefits (such as co-op credits), you can check it all out here. ← What’s New at the Co-op?